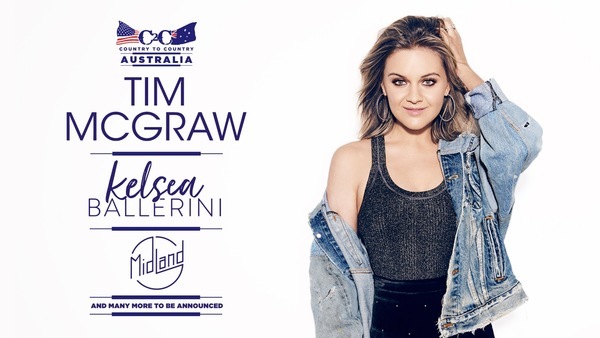 You are here: News / Kelsea's Performing at C2C Australia! Kelsea's Performing at C2C Australia! Kelsea’s joining Tim McGraw, Midland and many more in Australia for the C2C: Country to Country festival! Kelsea will take the stage on September 28th and 29th in Sydney and Brisbane. Telstra Thanks pre-sale will be available on Wednesday, November 14th at 10am local and tickets will go on sale to the general public on Friday, November 16th at 12pm local. Stay tuned, this will be a country music festival you won't want to miss! Do a Melbourne side show! Please please please!!! Oh My Goodness I can not wait!! fingers crossed i get my tickets on Wednesday. will there be any meet and greets?